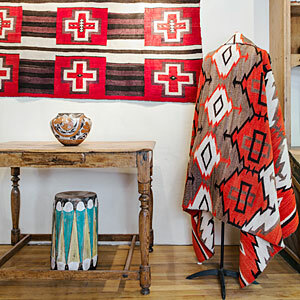 With 50-plus galleries, Taos is an arts mecca. 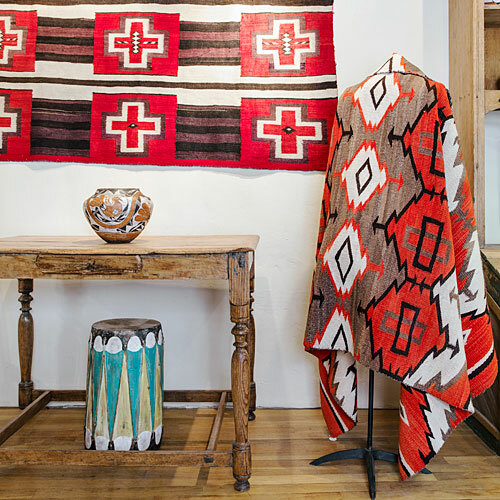 At Kimosabé, an antiques shop near the downtown plaza, collectors gravitate toward Pueblo pottery, Navajo textiles, and Hopi katsinas. You’ll also find more eclectic goods, like original lobby cards from a silent cowboy movie and a mounted jackalope head.